I made Holland Rolls this weekend with my Mom’s speedy roll dough, and I was previously unable to find any Holland Rolls pictures that looked like hers so I thought I would make some and take pictures. I made one pan for us, one pan for our neighbors who babysit the cats, one one pan for the neighbor who helped dig me out of the snowbank. Holland rolls are nice, because you don’t have to cut the bread, they just divide along the separations in the dough. Recipe at bottom of post. 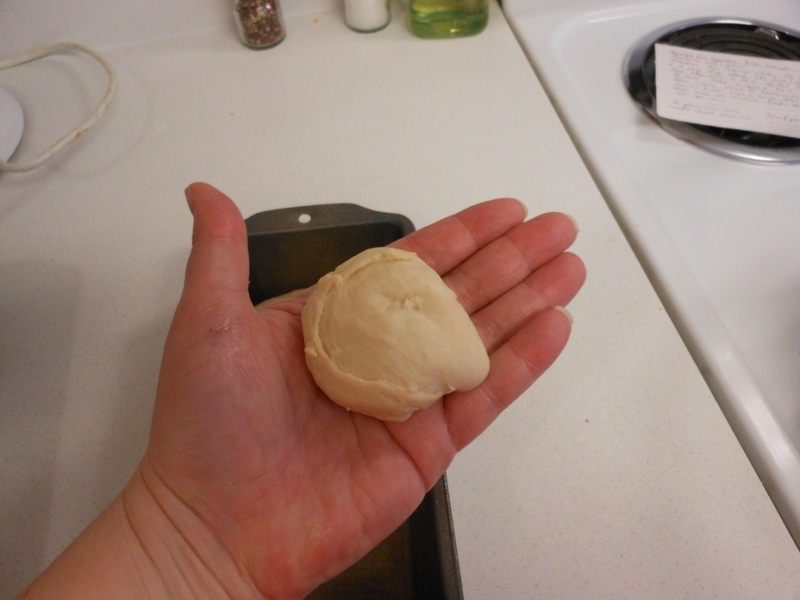 Pinch off a ball of dough about the size of a tennis ball. This one is a little small. Roll it out so it is slightly oblong. Make oblongs until you fill your pan. It took 6 to fill my pans. 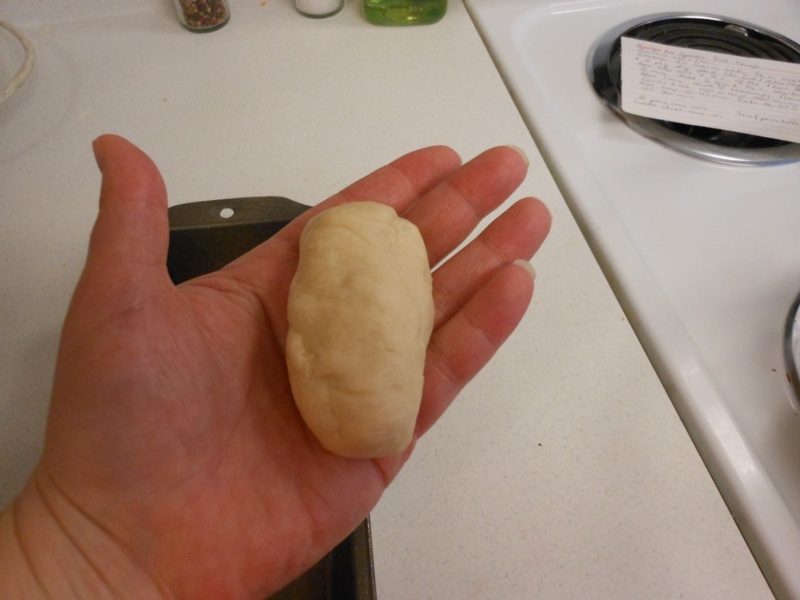 If I had been sensible and weighed my dough on the kitchen scale, I would have had 3 uniform pans of rolls. Shall we take bets on whether I did that? Let’s just say I did not. The size difference is not that obvious here, but it will be later. See, the middle one is kind of a runt.That’s ok, that is the one we will keep for ourselves. 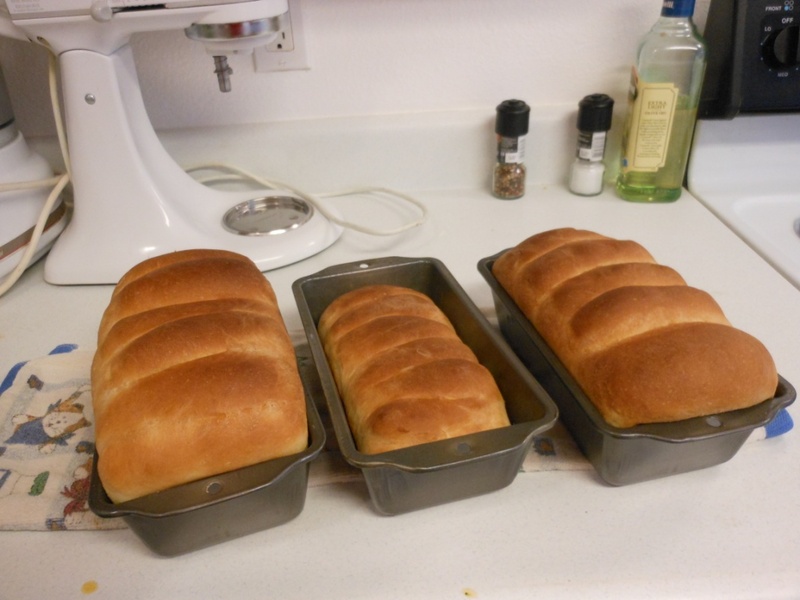 Handy baking hint: I turn the oven on warm for a few minutes, and then turn it off, and put the rolls in to raise. If you leave it on warm , and then put the dough in, and you have a tea towel on top of it, there is always the possibility the tea towel will touch the heating element and catch on fire and that is how you start to get a reputation. Pay no attention to the baking soda on the bottom of the oven. And viola! They got a little more done than I might have liked, but they were fine. Measure 6 1/2 cups flour. 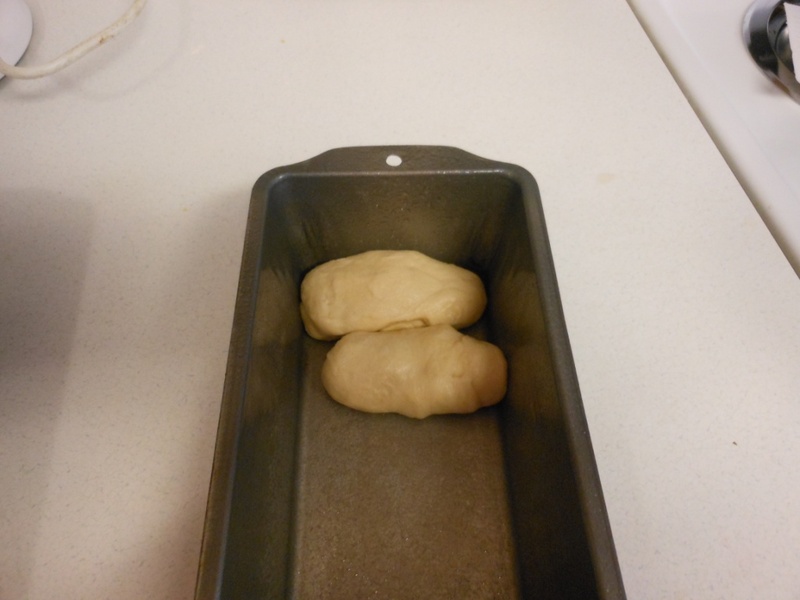 Combine 2 cups warm water, 1/3 cup sugar, and 2 Pkg Dry yeast (4 1/2 tsp). Stir until dissolved. Add 3 tsp salt and 2 c. of the flour. Beat 2 minutes with electric mixer (or stand mixer). Add 2 eggs and 1/3 cup shortening. Beat 1 minute. Work in remaining flour (by hand or with dough hook). Do not add all flour if it gets too stiff, or add more if it is too sticky. Cover and let rest in bowl 20 minutes. Shape and let rise 40-45 minutes, until approximately doubled in size. Bake at 375° for 25-30 minutes, until golden brown. 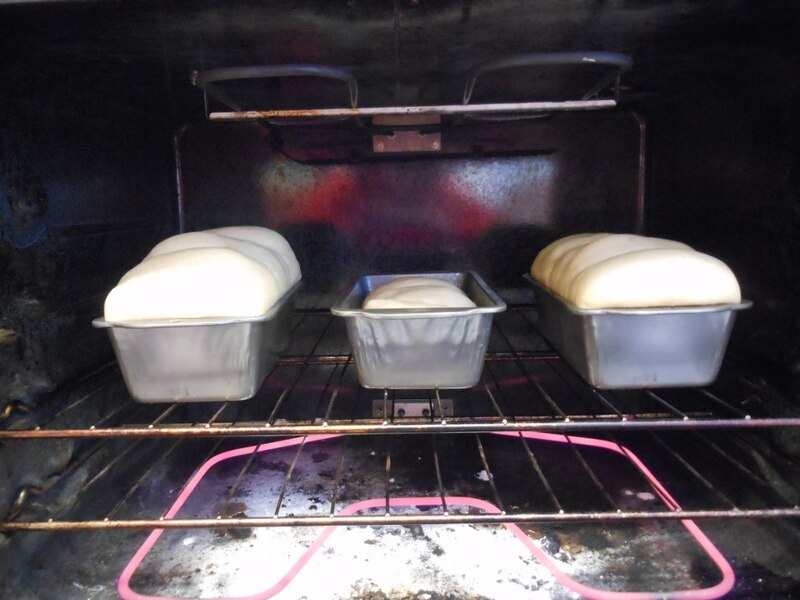 Makes two 9 x 13 pans cinnamon rolls, 1 cookie sheet ranch rolls (shape into golf ball size rolls), or 3 loaf pans Holland rolls. 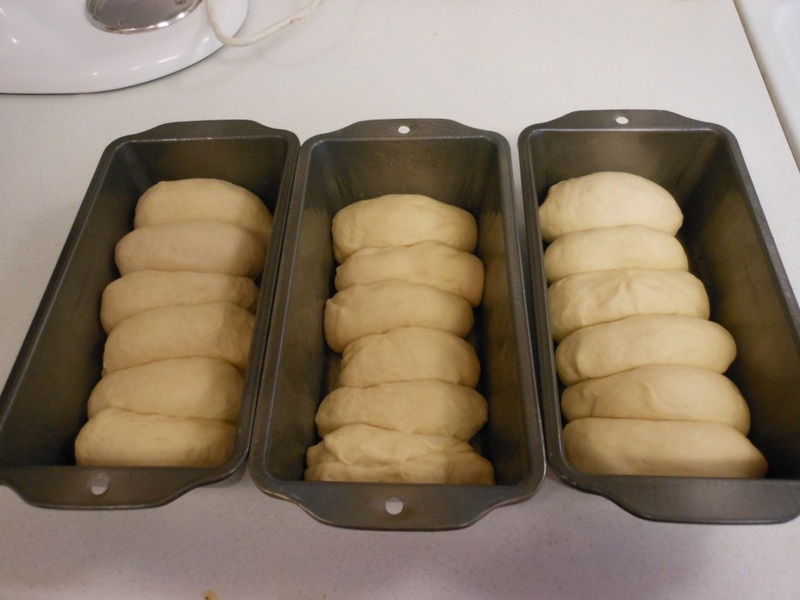 (Mom also calls these side-by-side rolls, you make a cylinder of dough about as long as your hand is wide, and about an inch in diameter, when you pop them out of the loaf pan, they separate nicely.) Could be made into any other shape you desire, for that matter. This entry was posted in Family, Recipes by glenderella. Bookmark the permalink. I have a pilot light in my oven, so in the winter time, the bread rises in there, then I take it out and warm the oven up to the desired temperature. I love my pilot light and will not be without one. I only pray that when I need a new stove I can get one again. I had to special order this one. If he or she doesn’t immediately accept it, don’t be discouraged. in Ad – Words advertising. But unfortunately not every request will get approved. Investigation along with Litigation Assistance Agency for Net Defamation, often receives inquiries from attorneys along with law enforcement agencies on the way to subpoena Google’s Legal Division.